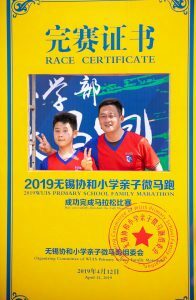 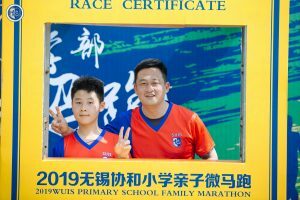 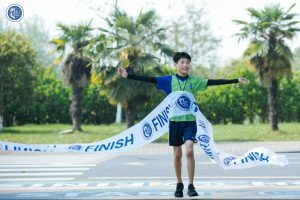 On April 12th, WUIS has its 3rd family marathon. 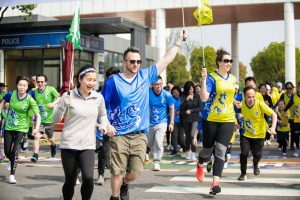 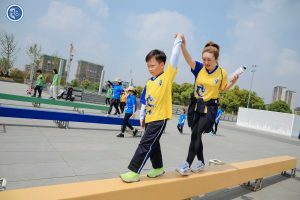 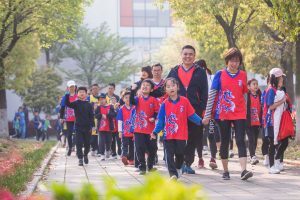 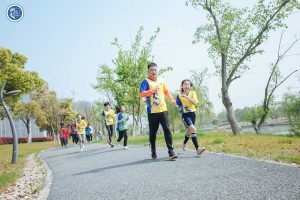 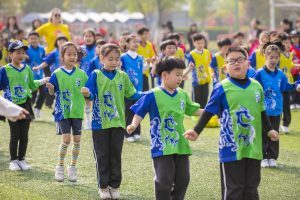 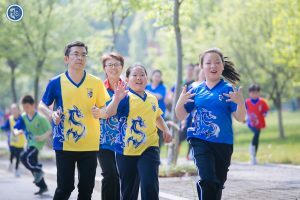 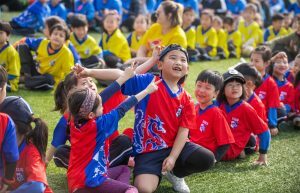 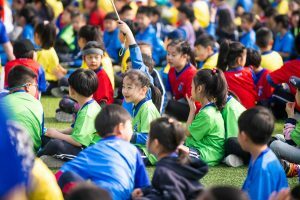 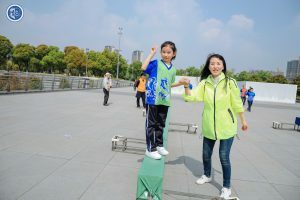 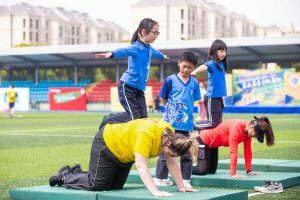 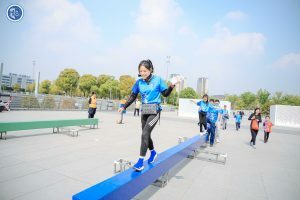 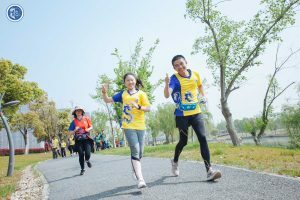 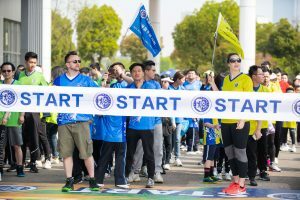 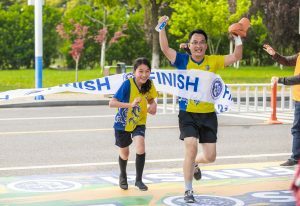 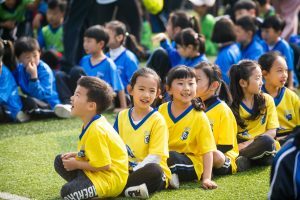 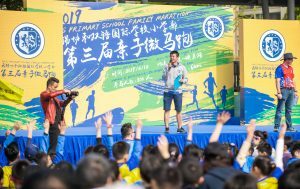 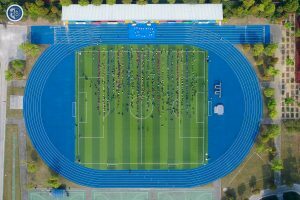 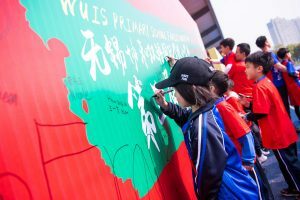 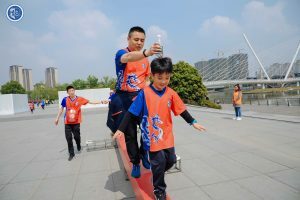 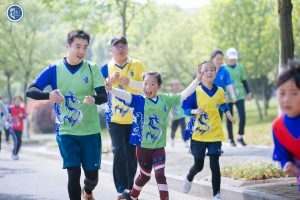 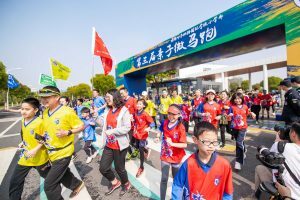 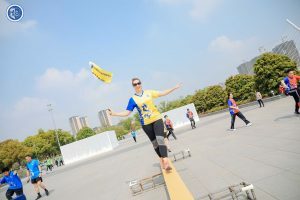 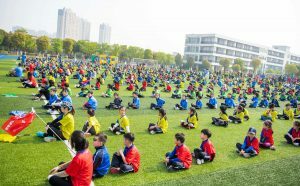 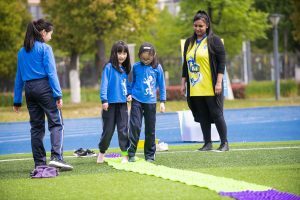 Students, parents and teachers gather together to enjoy the run and the Ying Yue Lake which looks at its best in spring. 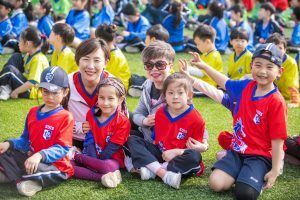 Early in the morning, the children who are dressed in their own house colors come to the soccer pitch. 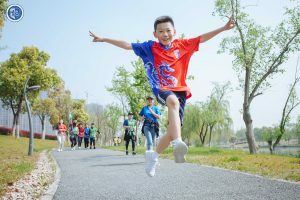 And there, they begin a happy warm-up. 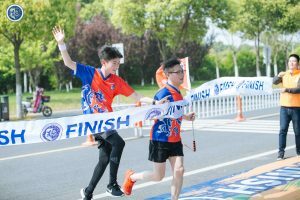 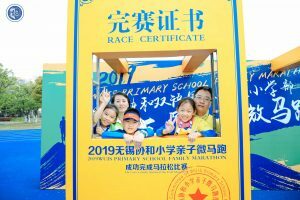 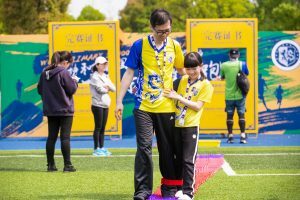 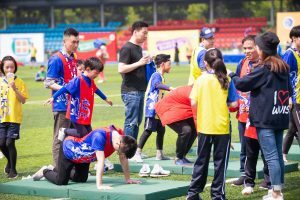 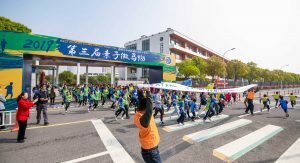 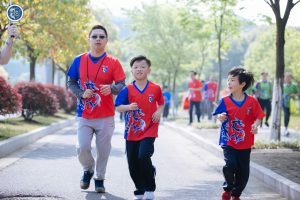 After stretching their muscles, parents and children from six grades rush out to the starting point and embarked on the six-kilometer marathon. 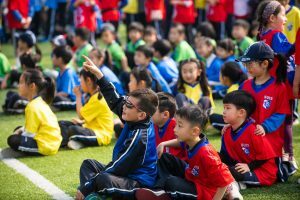 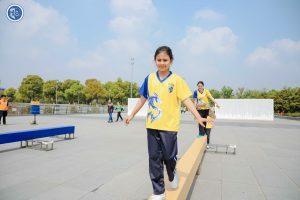 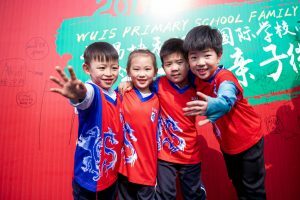 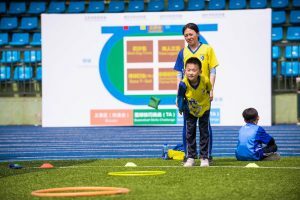 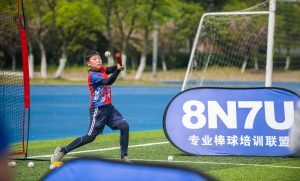 Although the distance is only six kilometers, it is still a challenge for children in primary school. 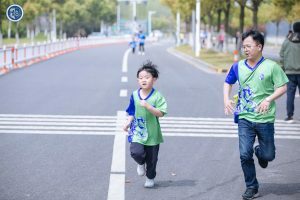 Parents and children need to work together, start at the same time, and finish the race together. 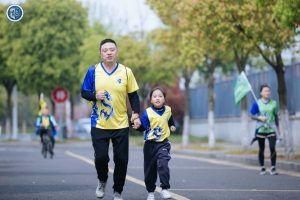 Accompanied by their parents, the young athletes marched forward bravely. 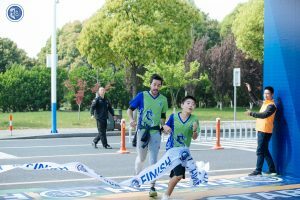 Eventually, all children and parents arrived at the finish line. 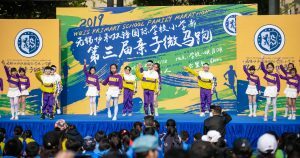 The first three families from each grade receive gold medals. 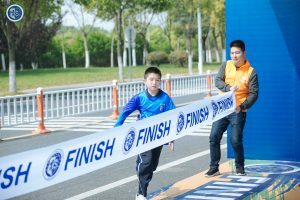 All the rest runners receive participation medals. 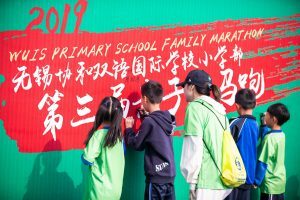 A lot of the students have collected all the first three family marathon medals. 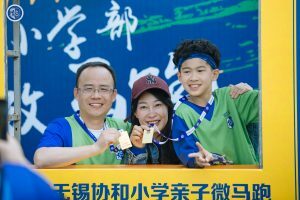 After finishing the run, parents and children get back to the soccer pitch to enjoy the fun game stations. 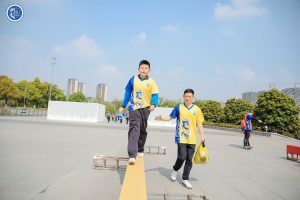 To get more house points, they must rise to the challenge of finishing three-legged monster, partner balance and beanbag toss. 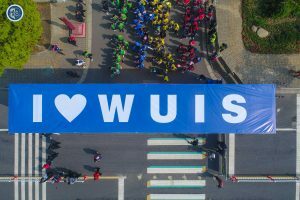 WUIS, what a happy family! 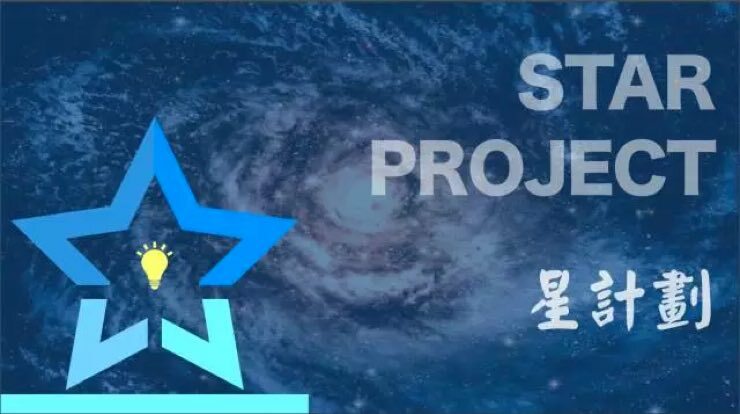 We all look forward to the next year!